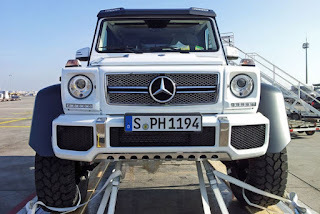 The G63 AMG is a spectacular an intimidating machine in and of itself. But add an extra 2 wheels and you turn it into the most insane off-road vehicle on the planet. 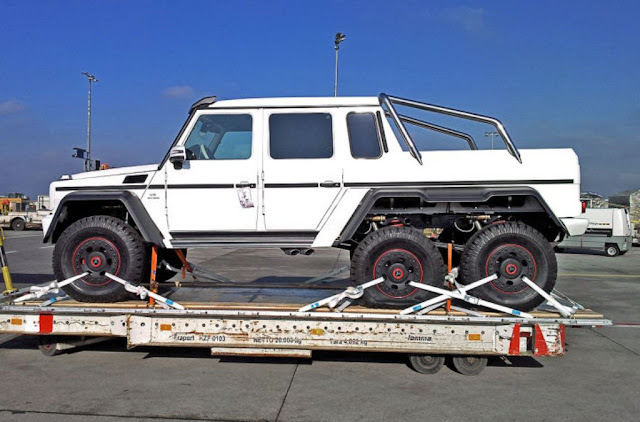 This vehicle was spotted in Europe (looks like German license plates) and its final use or destination is yet to be determined. 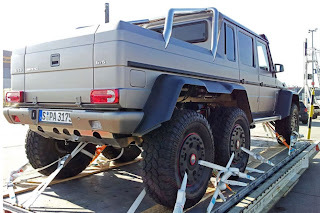 A 3 axel G Wagon already exists and is used by the Australian military. 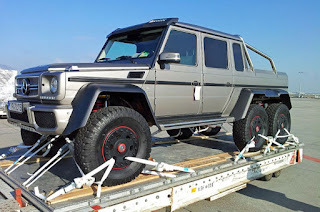 However, the non camo paint and the AMG badging makes this look like it’s for civilian use. 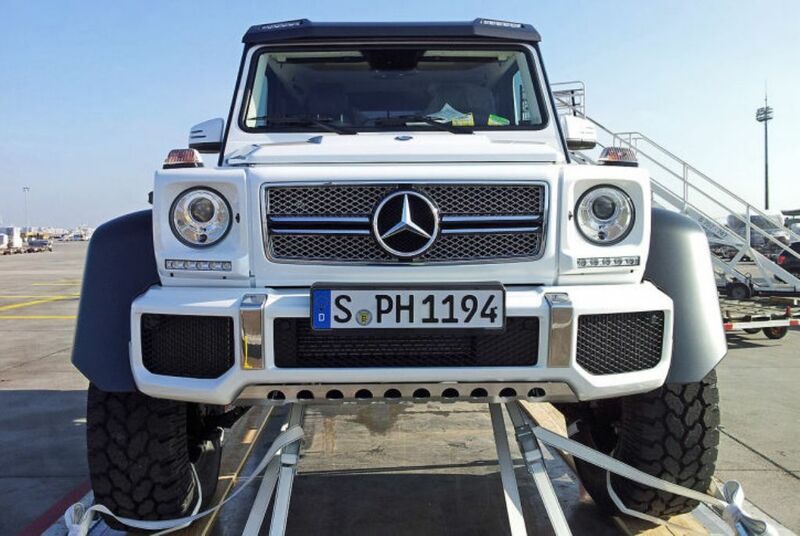 6 Wheels, 544hp and a bunch of mud sounds like a fun adventure to us! 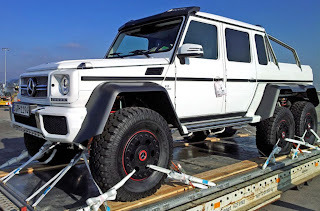 800hp, V12 Monster by BRABUS.